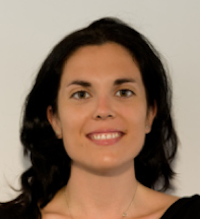 Cristina Alcaraz is an Assistant Professor at the University of Malaga. She was a guest researcher at NIST, US (2011-2012), and a visiting postdoc at Royal Holloway (2012-2014) under a Marie-Curie fellowship and at UCBM (2017). She is involved in European and national research projects, focusing on topics related to CIP (security of SCADA systems, Industrial Internet of Things, Industry 4.0, cyber- physical systems and Smart Grids), and particularly on situational awareness and resilience. She has published more than 60 papers, served on the Editorial Boards of six international journals in the area (e.g. IJCIP, IJIS), and has participated in multiple international conference program committees such as CRITIS, ACM CPSS, ESORICS, etc.